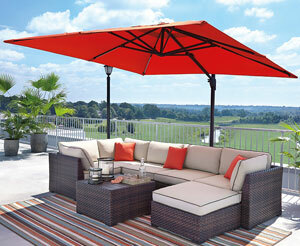 Ashley furniture has become the world’s No. 1 brand through decades of building loyalty through superior quality while keeping prices astonishingly low. 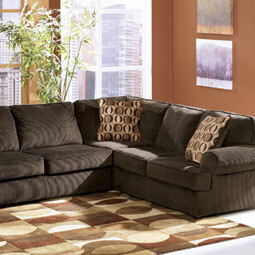 For looks from classic to super-stuffed modern comfy, Ashley living room furniture has got relaxation down to a science. Our popular sectional sofa comes in a tough fabric upholstery that can survive spills and excited pets, inviting you and your guests to forget the day’s cares by lounging on ultra-supportive modern foam cushions. Well-crafted wood frames make these pieces a super bargain. For daily meals, homework, or the grand holiday feast, Ashley dining room furniture gives you a multitude of possibilities. 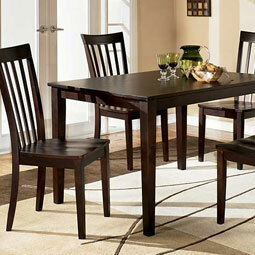 One of our hottest-selling 5-piece dining sets includes a trim, dark rectangular table on gracefully tapered legs, ideal for midsize dining rooms and kitchen nooks. Four rake-back side chairs complete this lovely set. 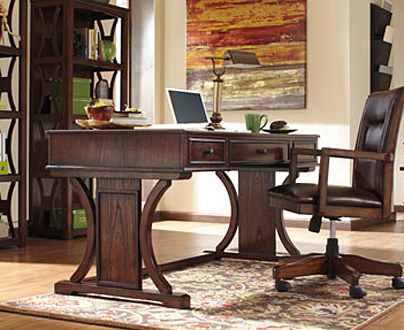 For your daily routine you need bedroom furniture that’s ready to serve. 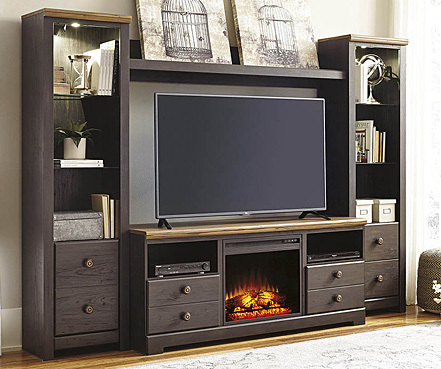 Ashley furniture’s selection feature fine veneers on rugged engineered wood to guarantee you a lifetime of use. 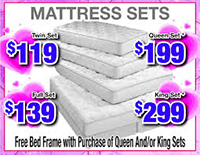 Our beds come in all sizes from twin to California king. 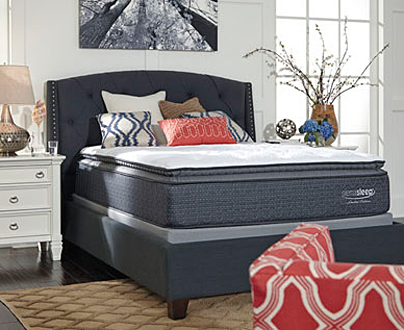 Our customers’ all-time Ashley favorite is a storage bed. This has a rich dark finish and aged bronze-tone handles on the many drawers tucked into the case and headboard. If you have a lot of stuff, consider getting this fine bed’s accompanying pieces. 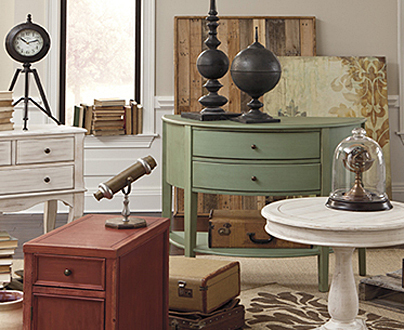 From lovely vanities to tall chests of drawers, Ashley bedroom furniture is built with your real life in mind. Need a nightstand with USB charging? No problem. A media chest for late-night TV? It’s all here and all affordable. Kids’ bedroom furniture is hard to buy. You want something that ages well with your youngster’s rapid development, and tough enough to take rough handling. But you also want harmony with the rest of your interior design. From industrial-inspired bunk beds to ladylike white loft beds that adorably incorporate wardrobe closets and drawers, Ashley collections are here for every stage of your child’s growth. And don’t forget Ashley kids’ bedding with every choice from bold colors to floral and camo patterns. 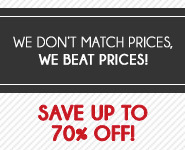 Stop by our Greensboro, NC stores to see how Ashley furniture saves customers like you a lot.